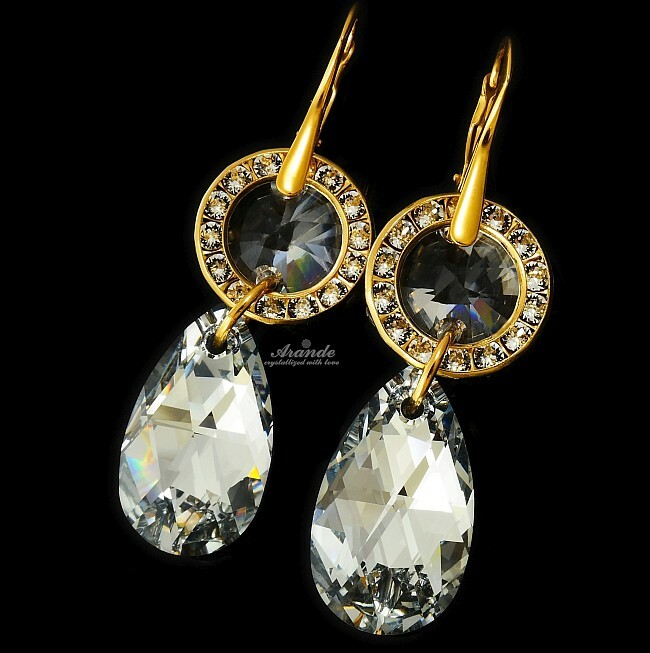 These genuine Austrian crystals are made in exclusive Swarovski Crystals collection world-known for best sparkling crystals. Beautiful crystals PEAR DROP in adorable color COMET. Added with Swarovski crystals set in gold plated beautiful filigree ornaments and CRYSTAL octagons. Unforgettable jewellery for any occasion. Elegant silver clasps and findings made with 24K Gold Plated sterling silver 925. Filigrees made with gold plated antiallergic nickle-free metal. The stamp is marked on the clasps. Jewellery comes with Certificate of Authenticity and original Swarovski Seal with unique ID to verify on Swarovski site. All the products are licensed. Original Crystals from Swarovski. 100% Authenticity Guaranteed. If you want the best, choose the original.